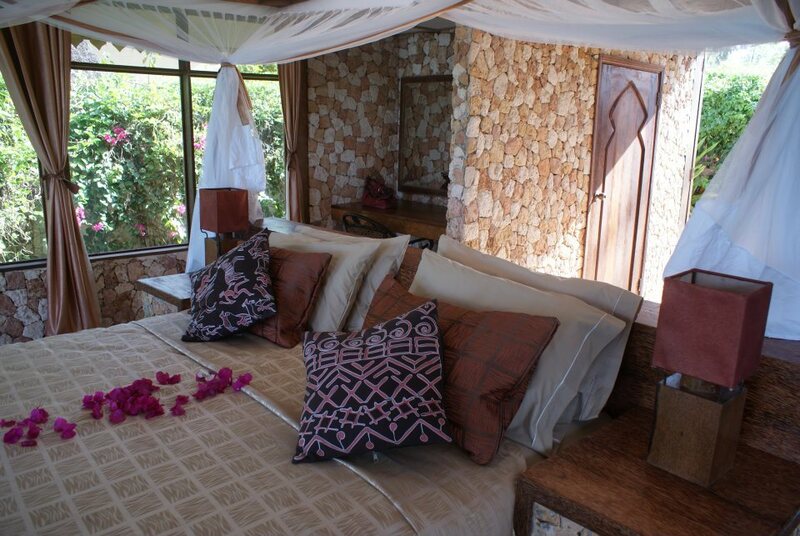 Seasons lodge is a family built, and family run, hotel, opened in 2011 by the Clarkes, an Irish-Ugandan family. 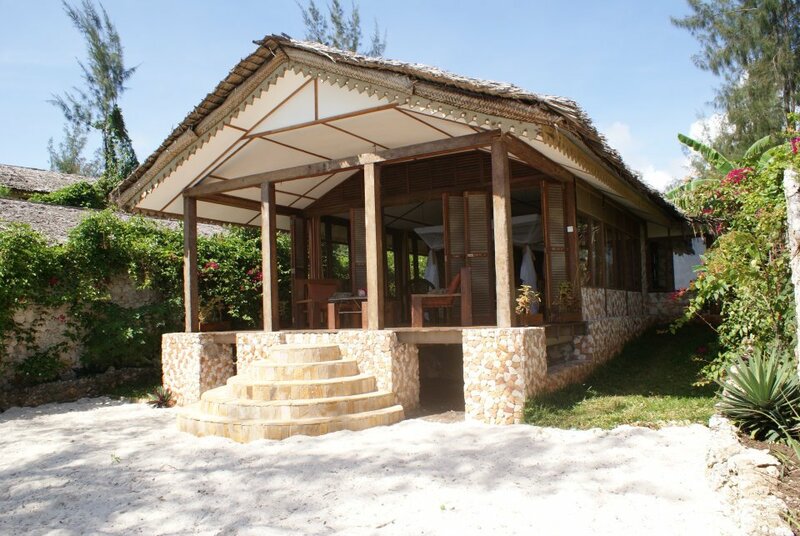 The lodge has been made by hand on site using local workmen and craftsmen, thus investing in the local community and the local economy. Local materials have been charmingly united to give the lodge both a local and cool feel. There are two types of rooms at Seasons Lodge: 7 cottages and 3 rooms on the second floor of the main block. 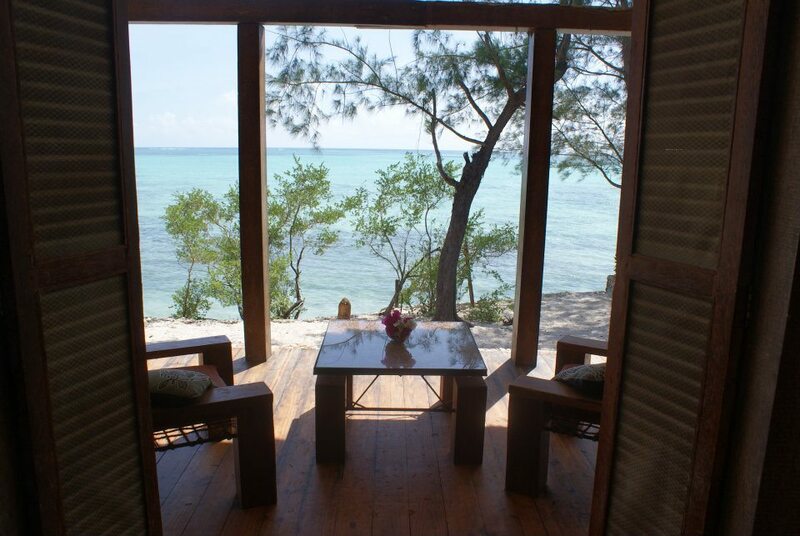 The rooms are very open with folding louvered doors and windows to maximise the breeze that blows in off the ocean. 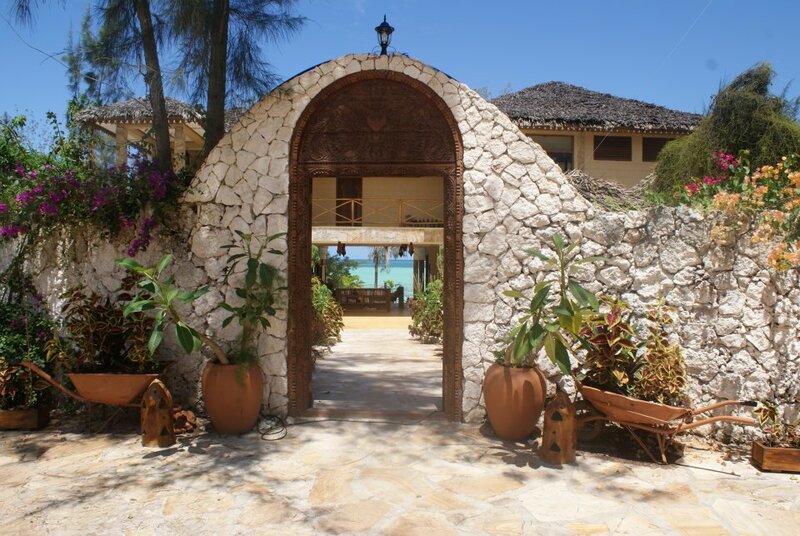 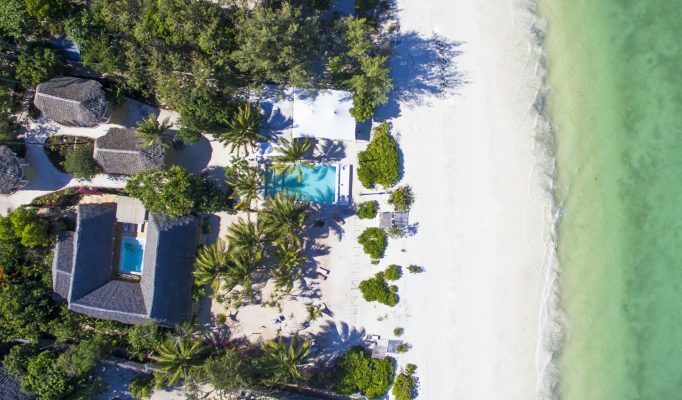 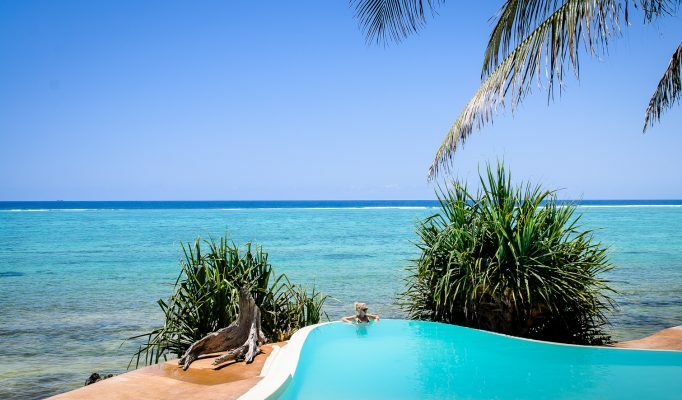 All rooms also have multi-speed fans above the beds.The cottages have their own walled tropical gardens, accessed through an antique Zanzibar door set within a white coral stone wall. 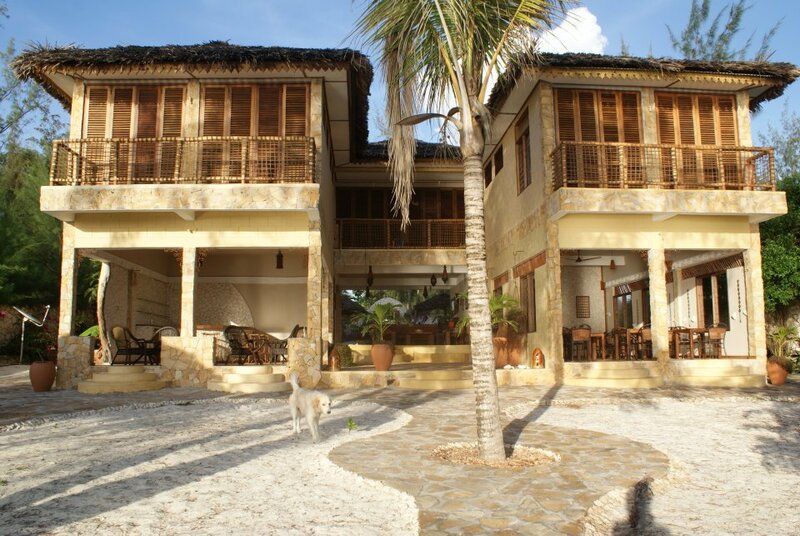 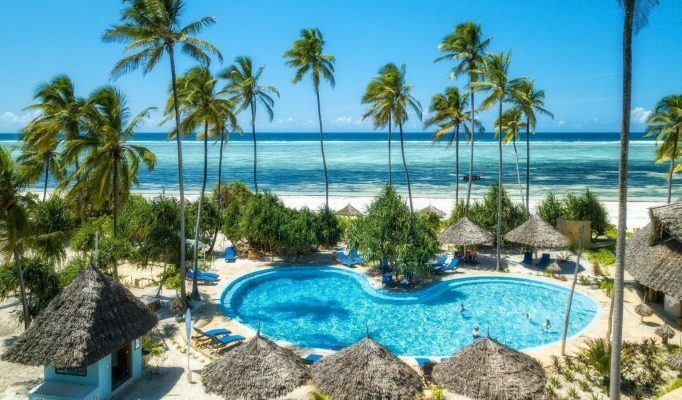 At the front are large balconies with comfy coconut wood furniture and steps down to your own beach area. 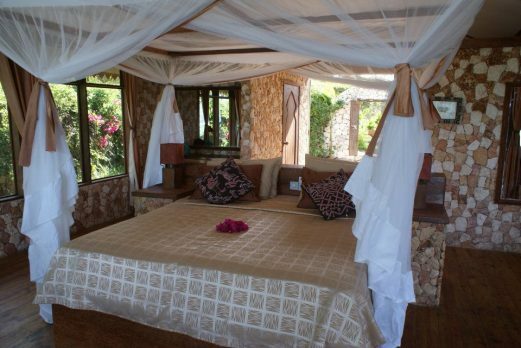 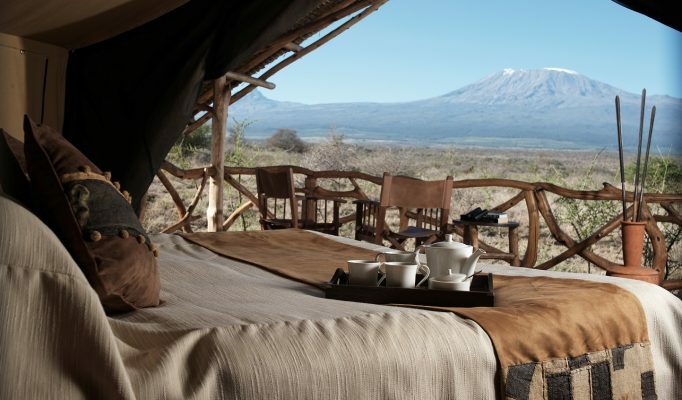 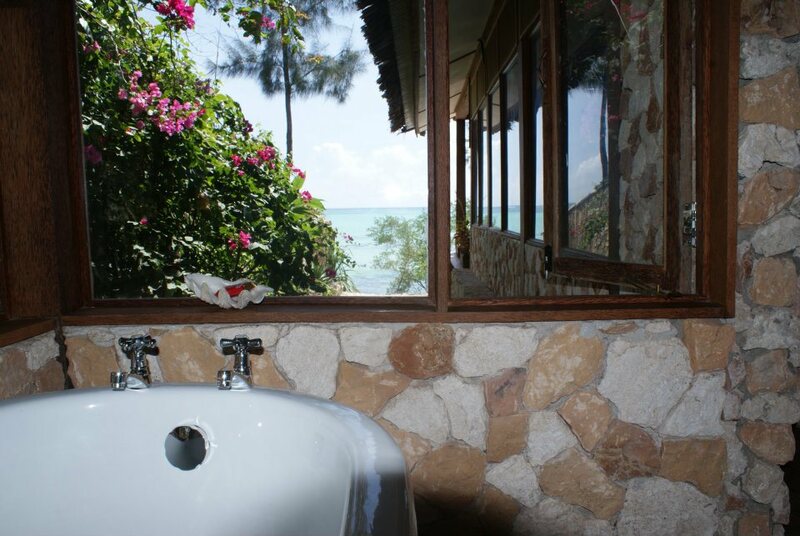 All rooms boast breathtaking views of the Indian Ocean. The bathrooms have hot water provided by a solar water heating system; each room has a claw foot cast iron bathtub, and the cottages have twin wash hand basins and here you can take a shower or have a bath while enjoying the view! 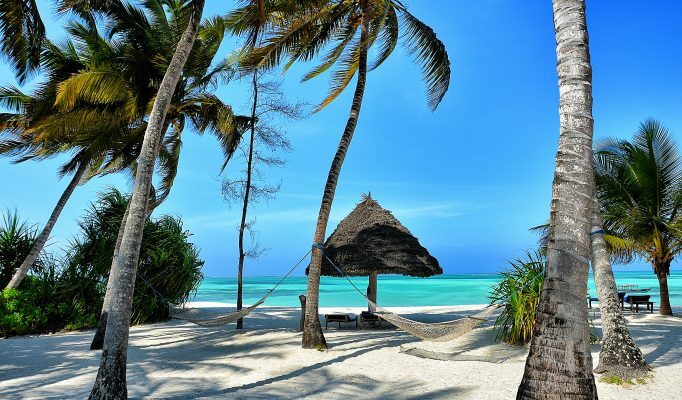 The rooms are designed to harness the Indian ocean trade winds, so as we can keep you cool without using energy sapping air conditioning units. The restaurant has a range of seafood caught locally from the ocean which is only 10 metres away from your table. 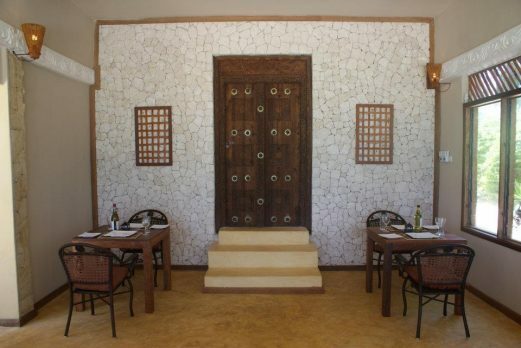 The dining room is stylishly decorated against a backdrop of a magnificent Zanzibar door set in a bedding of white coral stone. 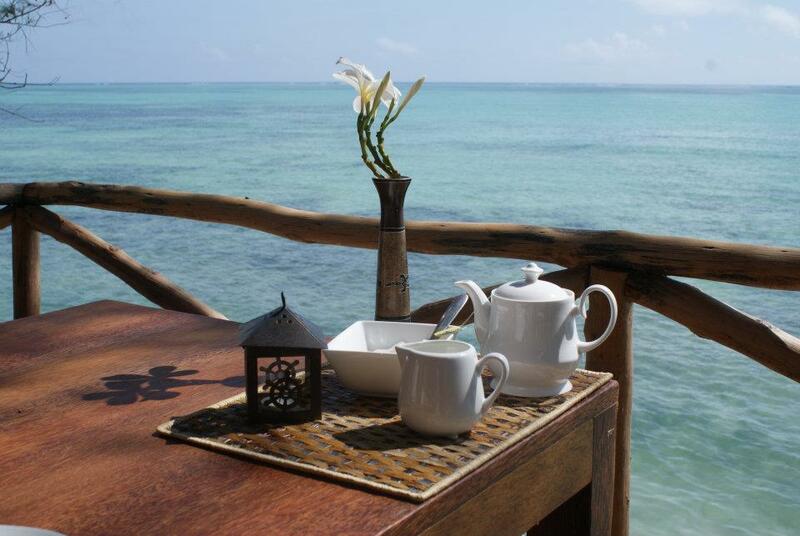 The lodge chefs take the best from the sea and combine it with the best of the spices from the island to create a culinary treat. 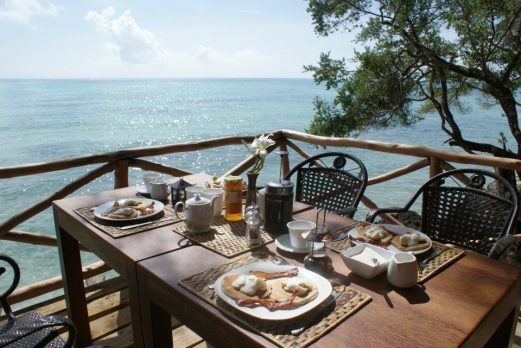 Breakfast, which is included, is a combination of fresh fruit juices, fresh coffee, a range of teas, freshly baked bread to toast, local honey and jams, cereals, and full cooked breakfast. 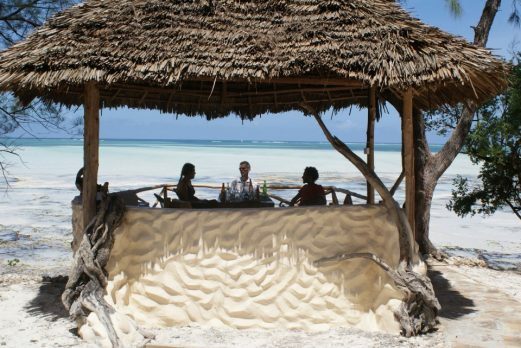 The bar in the main block – the ‘Bar es Salaam’ – offers a range of drinks, from single malt Scottish whisky, to wild and wonderful tropical cocktails. We also serve a range of fresh fruit juices, milkshakes, fruit smoothies and fresh African coffee. 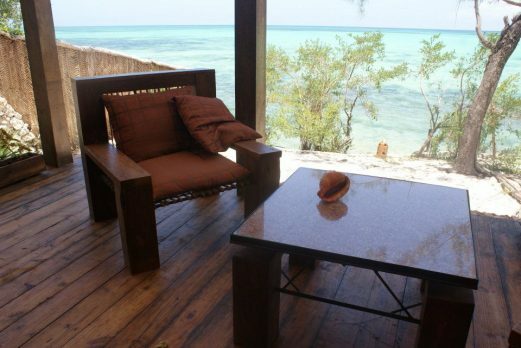 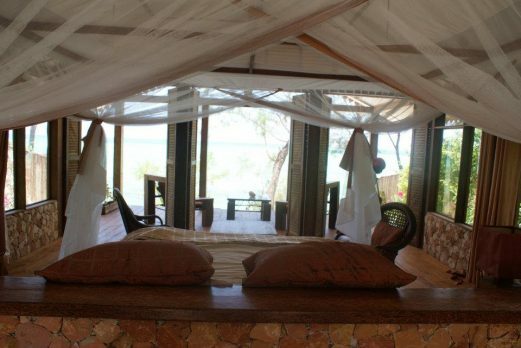 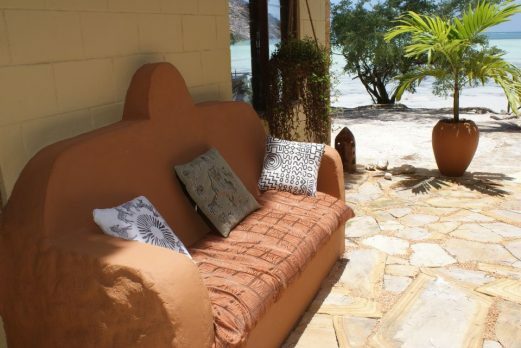 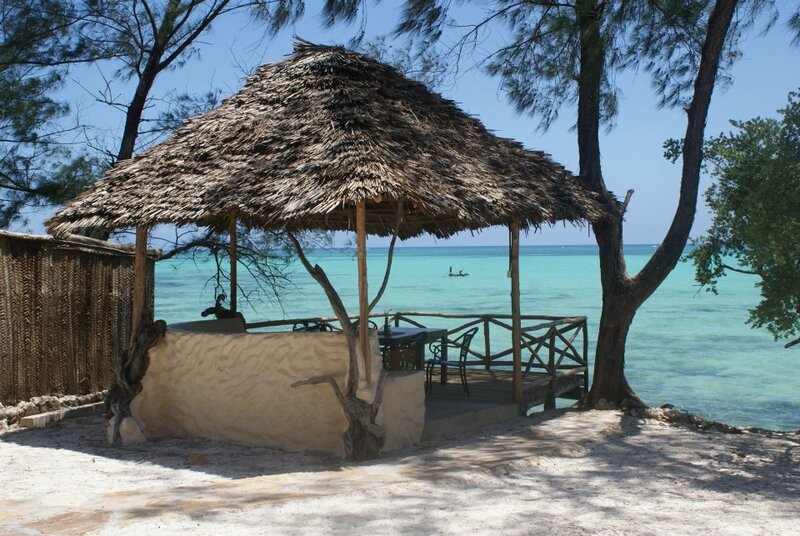 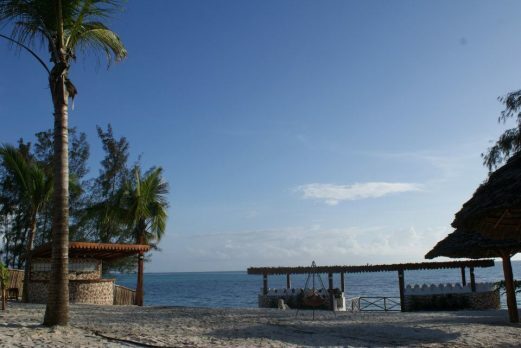 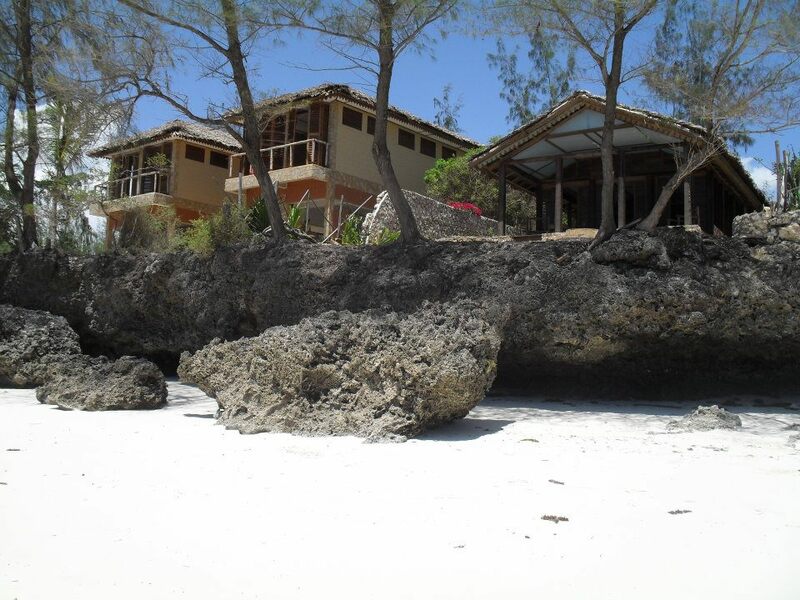 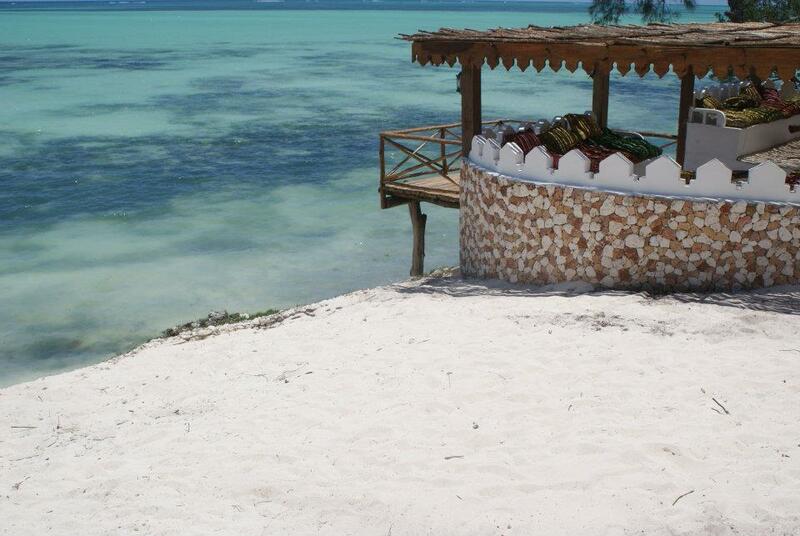 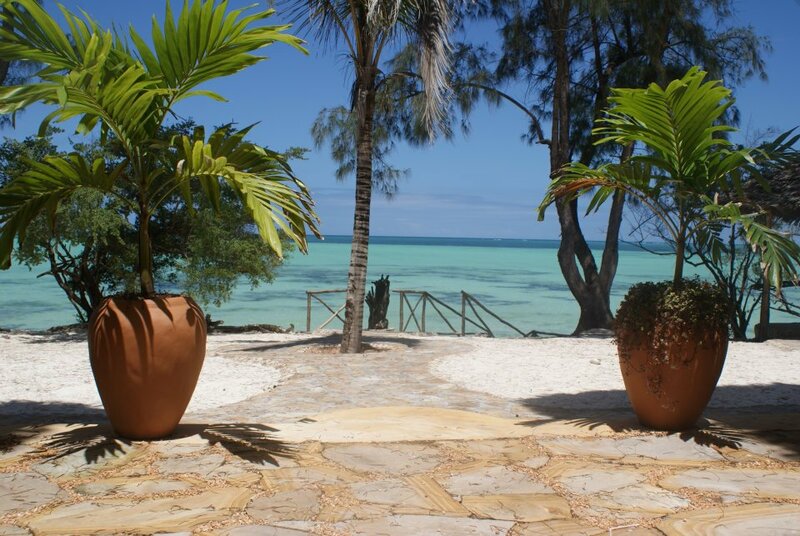 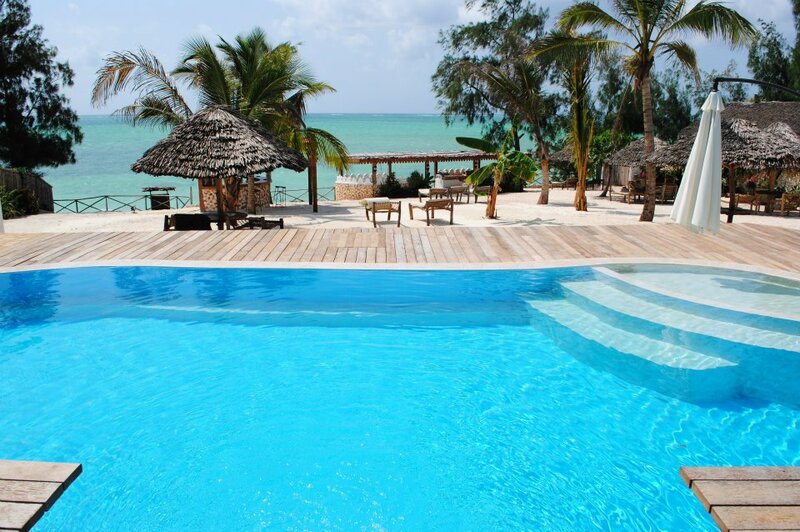 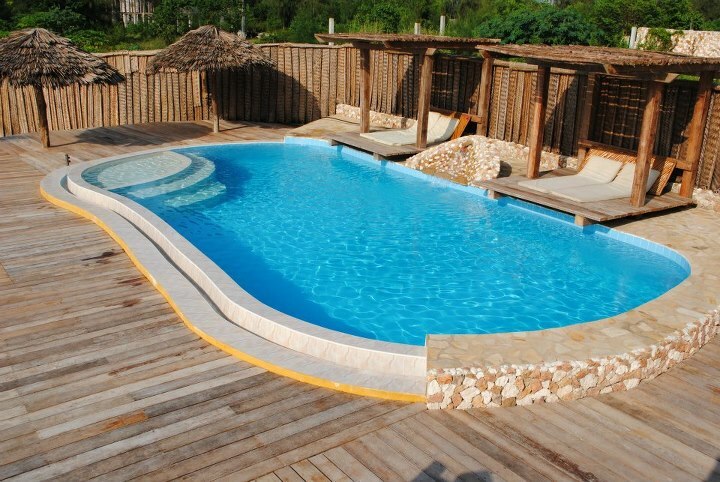 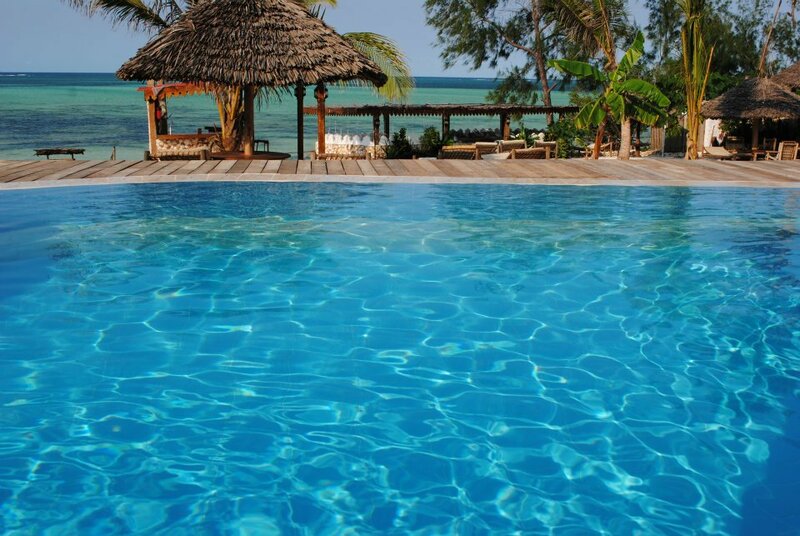 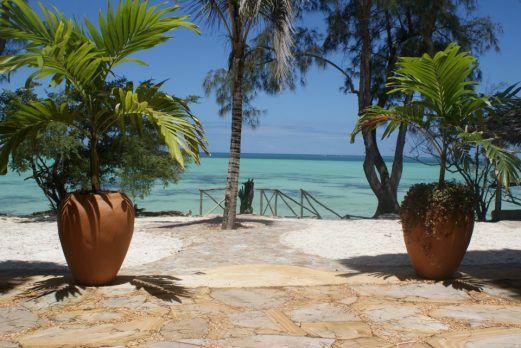 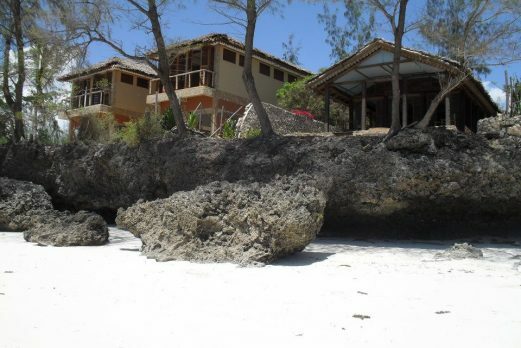 It is furnished with easy chairs and hand carved tables and offers a ‘view and a half’ of the sea. 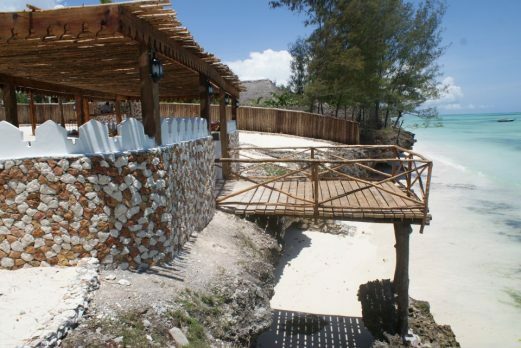 The bar at the beach side of the site, the – ‘Temple bar’ – offers the same range of drinks as the main bar, but in a beach style setting. 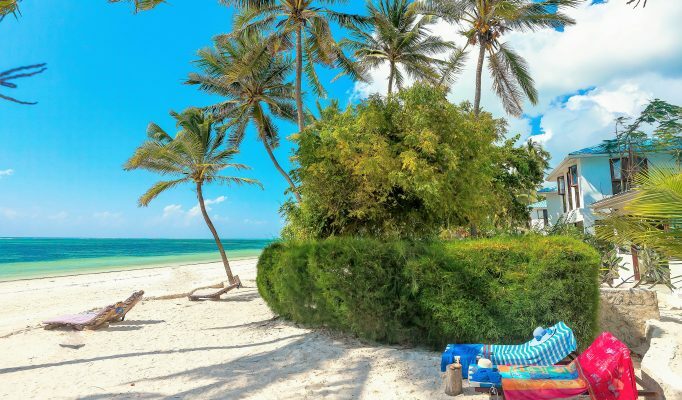 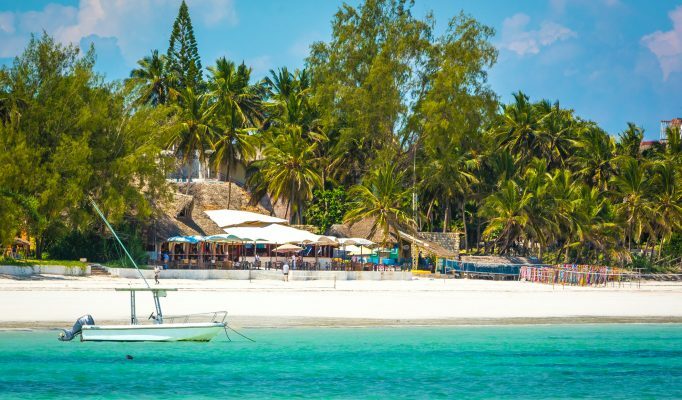 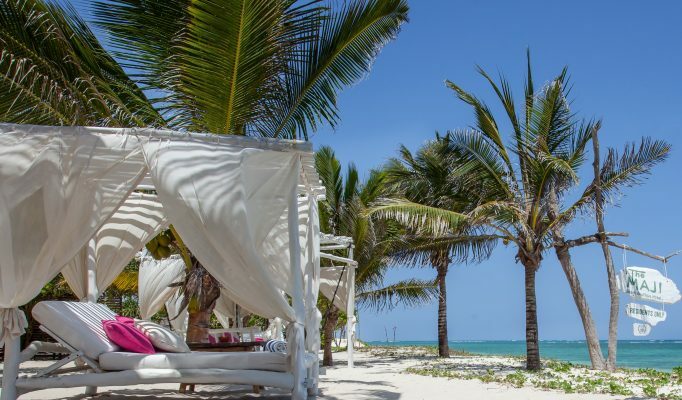 Here you can also order lunch from our restaurant while relaxing on our sun beds or the beach front barazas and our comfy loungers. 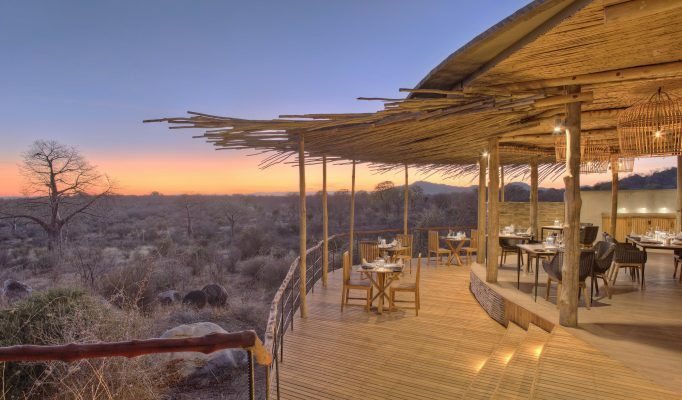 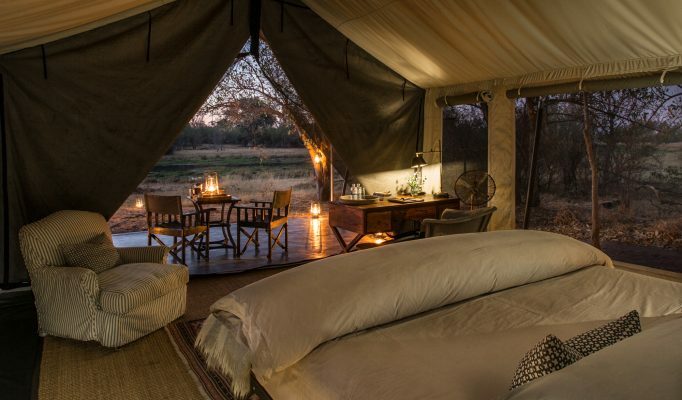 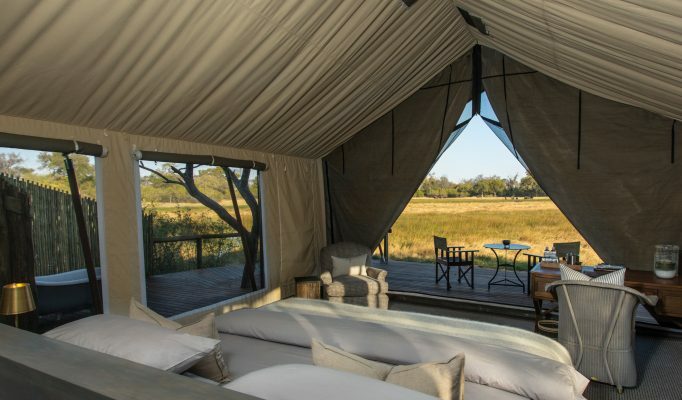 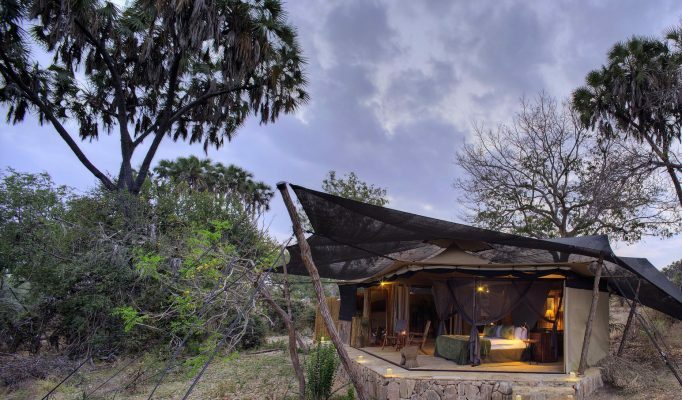 This is a great new lodge in the fabulous Pongwe area offering a low cost option for those on more of a budget.